Nestled on the beach, this Jungut Batu resort is within 3 mi (5 km) of Blue Corner, Devil's Tear, and Yellow Bridge. Nusa Lembongan may not be as big as Bali, but this island makes a big holiday splash. Sure, you should grab your best swim wear and goggles when you make your way to Indonesia. But don’t forget to perfect your surfing form and pack an appetite. The most well-known of the Nusa Penida district islands, Lembongan remains a quiet destination while affording an increased number of boat tours and delicious places to eat. Drop off your bags at one of Wotif’s Lembongan accommodation options, grab your camera and watch the sun set as you sip a creative concoction. Better yet, snag one of the best Lembongan packages so you have money left over to pack away more dessert! Nusa Lembongan is a seafarer’s dream, so leave your good jeans at home. In these parts, board shorts and flip-flops pass as standard attire. Start the day by catching the best waves at Devil’s Tears, then rent a stand-up paddleboard for a serene excursion atop the sea. After grabbing lunch near Jungut Batu Beach, treat yourself to a relaxing massage at one of the island’s spas. 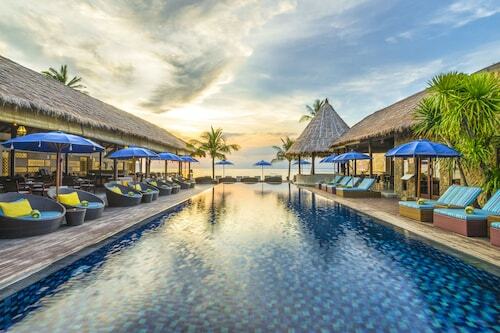 When you’re ready to retire for the day, hotels in Lembongan offer a pleasant retreat. Flights to Lembongan won’t land you right on the island, which is really no surprise, given that Nusa Lembongan is only 8 km in total size. Instead, plan on landing at Ngurah Rai International Airport (DPS), which is on the island of Bali. From there, the only way to get to Lembongan hotels is via boat. 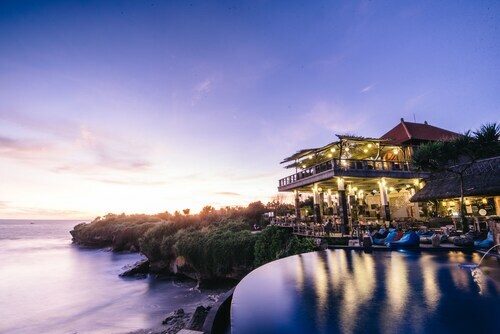 Wotif has the best deals on flights to Indonesia—yes, you really can get to Nusa Lembongan without draining your entire bank account. What’s the hold-up? The best time to book is right now! 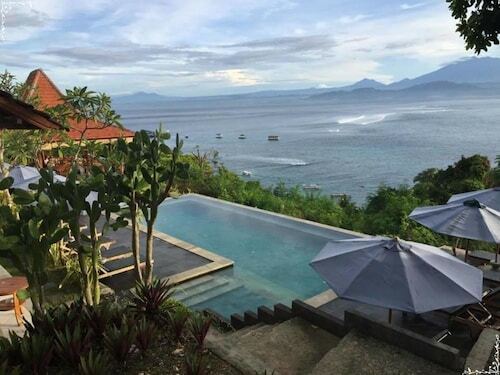 How Much is a Hotel Room in Lembongan Island? 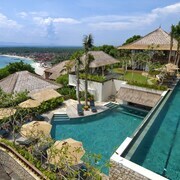 Hotels in Lembongan Island start at AU$104 per night. Prices and availability subject to change. Additional terms may apply. Breath taking views.... It was paradise. Staff were very helpful. Check in was easy and a free welcome drink was great!